A mid-day shadow bisects a square spiral three days before the vernal equinox. 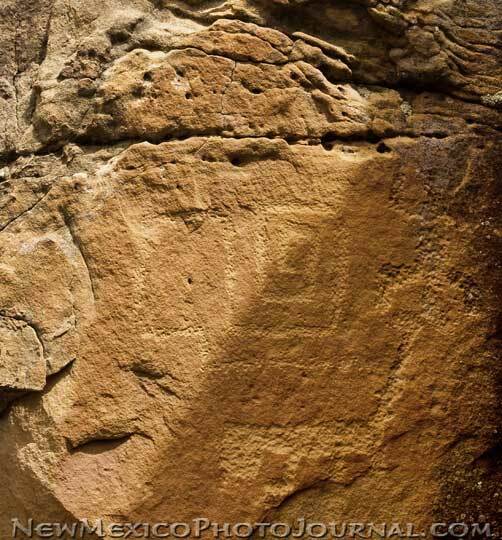 It’s part of the Aldridge Petroglyph panel in the Cebolla Wilderness. It was a great privilege to be able to witness this event.